This color has quickly become a favorite. 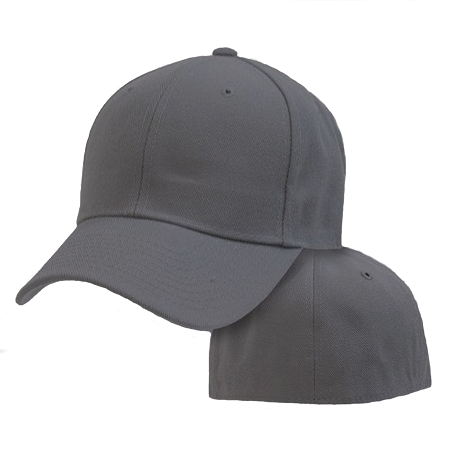 With a deep charcoal tone, this cap is nothing short of striking. Never been able to wear flexfits hats until NOW. Awesome hats. Highly recommend for men with larger heads. I wear a 7 - 3/4" fitted hat and the XXL hat fits great. 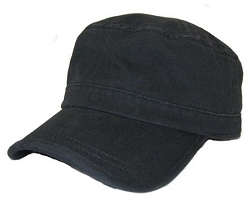 This hat is my absolute favorite hat in the world and I will probably order a new one every couple of years :) I have a "long-oval" head, and when I say that you need to be thinking the "Xenomorph" from Aliens. Maybe 75% as long but you get the picture. Anyway so my head is ~ a 7&3/4 size but there are obviously other considerations. I had not, until I found this glorious website, been able to find a baseball hat that fit me in my entire life. Not many hats at all, really, I've been squinting my way through life in misery for about 27 years! I had this nice waxed-cotton Indiana-Jones style hat for a while but it didn't wash well and you can't wear something like that in a car or on the bus because the brim gets in the way! It had a string and was just generally annoying. 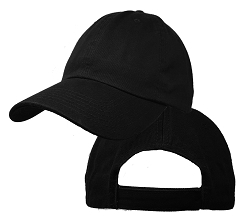 Finally, I took it upon myself to look up where I could order hats for my species, and out of several websites I chose this one. And boy am I glad! I ordered several styles to see what fit me best. The big man's advice is on point: it's better to order several styles without patches and make sure you get what fits, and eat the shipping to send the rest back (it's not that expensive) than to get yet another hat that doesn't fit and can't be returned and live forever in regret. After a lifetime of searching, you want that first box to have Your Hat in it. So order several! Personally, for any other banana heads out there, I found the FlexFit 2xL to fit me nicely, and the Dark Grey is a great look. The Big Color Mesh caps also fit nicely. I got a nice orange one for running at night or in the early morning, or hunting or anything you want visibility for. The Cadet style and the Low Profile didn't happen to fit me, mainly because my head is so narrow vs the hat width that it just didn't sit right. The FlexFit is more adaptable, especially if you bend the bill a little more. All seemed to be high-quality construction though so I can't ding them any stars. The big man is very communicative too, excellent customer service! If you have questions or special requests, special needs, don't be afraid to ask! Bought this for my son as a gift. He has a hard time finding hats that fit and has been very satisfied with your hats. Good price for a quality item! Great product, our technicians are very happy with the quality of the product we ordered. We will definitely order from Big Head Caps again - shipping and delivery was fast and efficient.